Start using Zenkit in your language! Zenkit Is Now Available In 8 More Languages! Today is a huge day for us! Our aim for Zenkit, right from the very beginning, has been that it becomes the home of your data. Somewhere you feel comfortable tracking everything from your daily tasks or shopping lists, to running your company. And what makes you feel more at home than being able to use your own language? Zenkit should automatically detect your browser language and switch, but if that doesn’t happen, you can do it yourself from your profile. Choose yours from the list! Along with the app, most of our website has also been updated so all of the app information is available in your language, too! This is only the start for our localization efforts. We’re already working on getting Zenkit translated into Thai, Hindi, Simplified Chinese, Dutch, and Japanese, and we’d love your suggestions for even more languages! If you want Zenkit in another language, let us know! Leave a comment below or send an email to hello@zenkit.com. 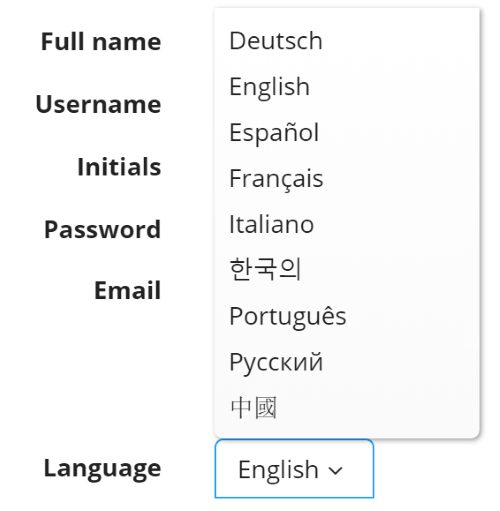 In addition to being able to use Zenkit in your own language, we’ve also introduced a couple of new features over the last couple of days. You can now change the order of teams on your Zenkit homepage, and in the navigation menu. To change team order, simply drag and drop the team name on the nav bar. 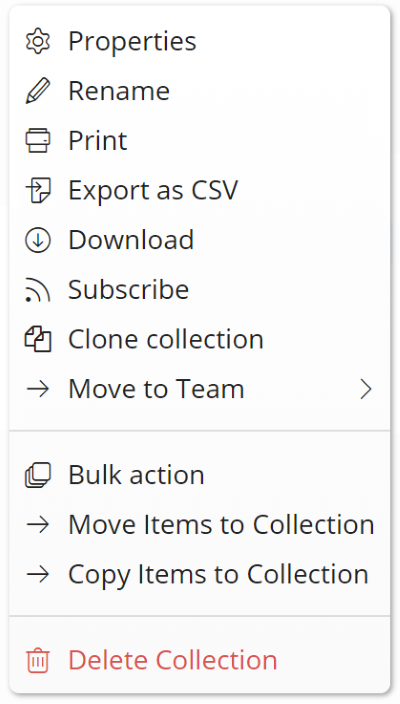 We’ve also made some small changes to the way you access collection properties — most functions can now be accessed from the menu that appears when you click on the collection name. To access collection backgrounds & add-on settings, you now need to click on ‘Properties’. We worked with a dedicated team of almost 30 fantastic translators and copy editors to get the entire app and website translated so quickly. The man who made the marketing pages of our website translatable is our web developer, Markus, who rebuilt the site from scratch. Big props go to Jesse, Philipp and Lucas from our dev team for restructuring most of the app to make it more easily translatable, and for making the transition to our new website run as smoothly as possible. Thanks also go to all the Zenkit team members who manually entered a lot of the translated text for the website. Thank you to the team of Zenkit users who volunteered to check the website over for any mistakes or things we’ve missed. And lastly, I want to give a huge thanks to Maja, who coordinated the entire project and made sure that everyone knew what to do and when. We couldn’t have done it without her! 🤗We hope you enjoy using Zenkit in your own language!